It’s a rush of excitement and anticipation at the beginning of the school year. Parents, teachers, administrators, and students have hopes for the forthcoming year. It’s full of promise, and at times, there’s pressure. Pressure to deliver and have those visions realized. But what is that vision? My district, Coppell ISD, chose You Matter as its theme for the year. It is incredible how two words can inspire so much action and reflection on how we engage our students and the community, how we collaborate with one another, how we self-care, as well as care for others. With the first three days of school behind us, let’s examine exactly how these two words were realized at New Tech High at Coppell. Will teachers, parents, admin, and most importantly, students feel they matter? #CISD1stDay18: No one can deny the power of social media. Coppell ISD asked its community to share images from the first day back to school on Twitter using this hashtag. It’s difficult on some children and some parents to go to school so sharing and celebrating the first day really helped to mark Wednesday as a special occasion. It also allowed teachers to share pictures of students (with approval beforehand) with parents. Browsing through #CISD1stDay18 shows the excitement, energy, and diversity of students and experiences across the district. 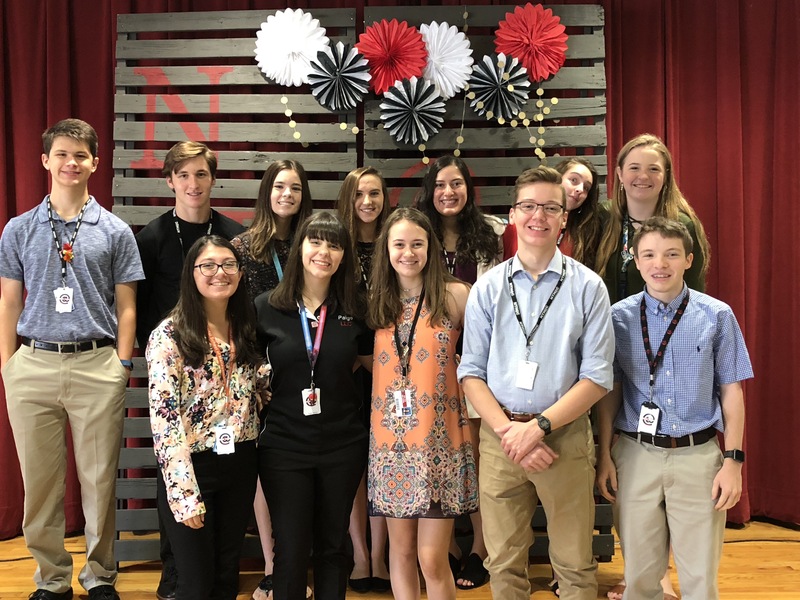 Building a Networking Family: Every year, facilitators at New Tech High at Coppell (NTH@C) have a group of learners from 9th grade to 12th grade that come together almost weekly for bonding, community service, and learning. This formation of another community offers additional support to youth where they can learn from upperclassmen or mentor underclassmen. It’s a place where academics isn’t a focus, where facilitators and learners can get to know each other even if never having learned in the same classroom previously, a place where people can build new relationships. Seniors Teaching Rookies: In most schools, there’s a divide between seniors and other classes. Some see it as a right of passage for upperclassmen to hassle the younger grades, but not at NTH@C. Our senior Learner Leadership Council (LLC) members lead our 9th graders for the first three days for their first week project. They come in early to understand the very complicated Time Capsule project which encourages reflection and self-reflection but also teaches Project-Based Learning basics to our new learners. Having seniors facilitate promotes the family-like atmosphere as well as the notion that Rookies are supported at all levels by so many. Making New Friends, Cherishing the Old: The first week project also allows facilitators to collaborate with those they may not regularly be able to work with throughout the year. Learners get to see collaboration modeled by facilitators. Learners benefit from project designed with a careful meeting of the minds. They get to see the camaraderie and respect between their teachers. Teachers who are new to the school begin the year by working closely with more seasoned staff members. It’s an added level of encouragement, scaffolding, and demonstration of values so dear to the school. You are supported. You are seen. You are celebrated. You are part of the family.